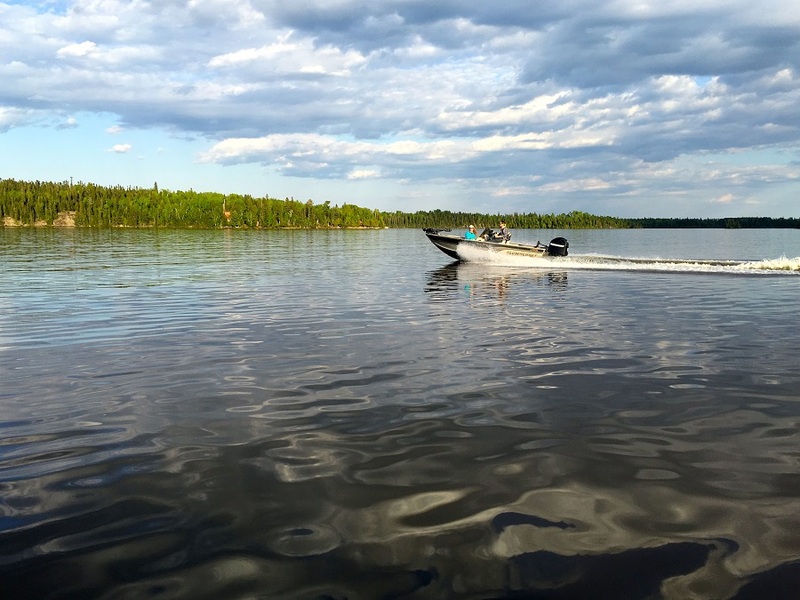 For anglers looking for pike and musky, a great drive-to location with excellent fishing, comfortable accommodations and great pricing is Merkel’s Camp located in Northwestern Ontario. 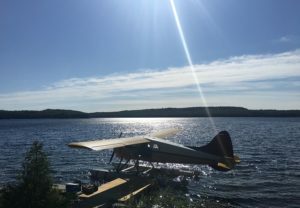 Their camp is just off the Trans-Canada Highway centrally located on the Wabigoon/Dinorwic chain of lakes. 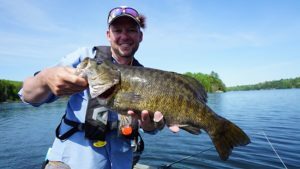 These lakes are considered by many as some of the top fishing lakes in northern Ontario for the anglers who are searching for giant walleye, pike, smallmouth bass and musky. 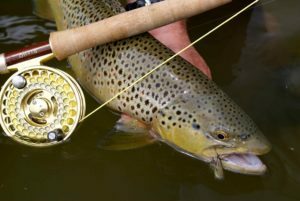 The reason why the fishing is excellent and ideal for fly fishers is due to the fact most of the system is shallow and possesses nutrient rich waters, which support large quantities of baitfish, perch and crappie. Perfect for growing large predatory species. 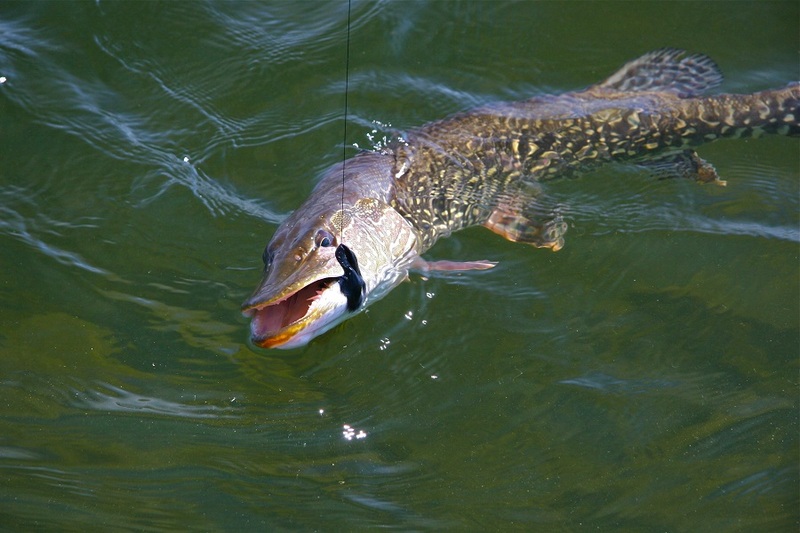 The New Fly Fisher visited Merkel’s Camp in June looking to capitalize on shallow water pike. The lake system is easy to navigate and virtually every point, rocky structure or fallen tree held a fish. We noticed there is an abundance of fallen trees in small bays throughout the watershed, which is perfect for large pike and musky. 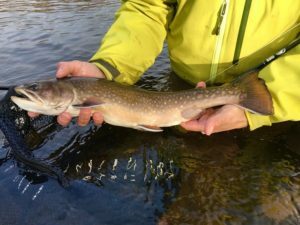 Using both 9 and 10 weight fly rods, we cast medium sized streamers such as bunny leeches in black or brown, Murdich Minnows in Perch patterns and Deceivers searching for marauding pike. 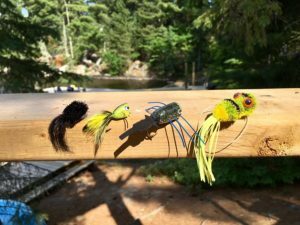 A WF floating flyline is all you usually need, though sometime a sink-tip would help get your fly down in the water column for short accurate casts to structure. The fish here are large and strike with lightening speed so you need a robust leader system to avoid break-offs. We used 50lb heavy mono in a 6 foot length linked to a 2 foot length of 40 lb bite wire. 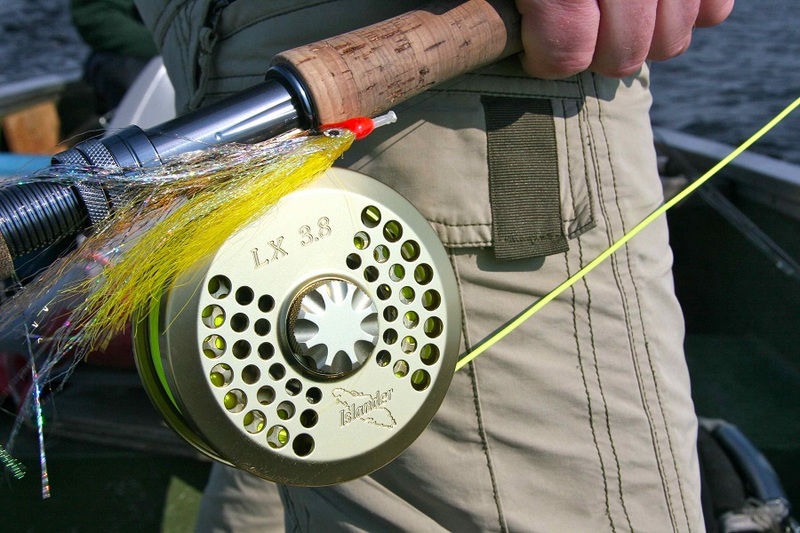 You want to use open-loop knots to tie your fly to the bite wire to ensure good underwater action. Bring long-nose pliers to help you remove hooks easily. 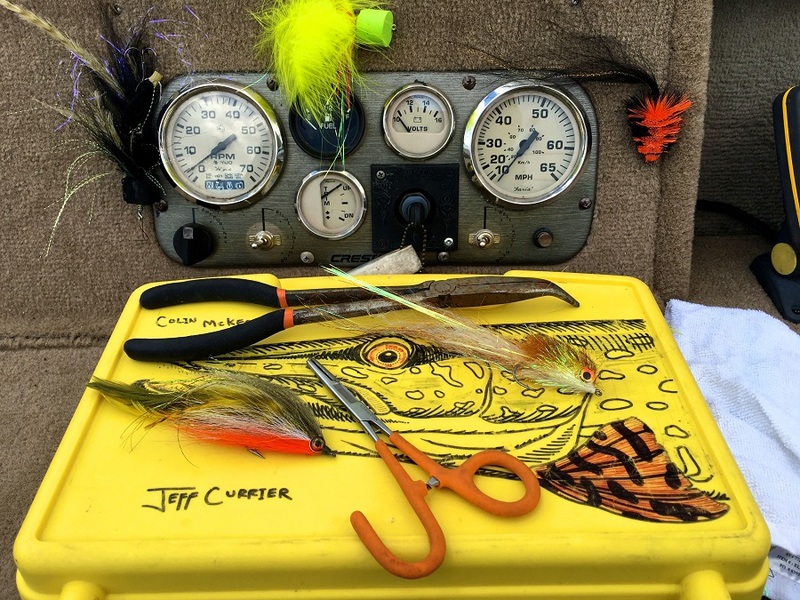 Most anglers bring their own boats but Terry Kluke can rent you one of his many boats, which are perfectly setup for anglers. 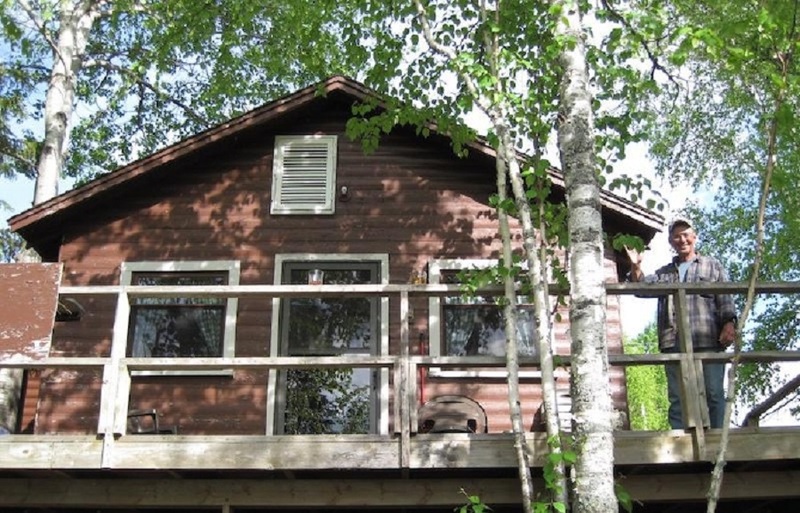 The cabins here are clean, comfortable and ideal for small groups of anglers or families. As a DIY camp, people bring their own food and fishing gear. However, you can also go to Dryden if you need extra supplies. 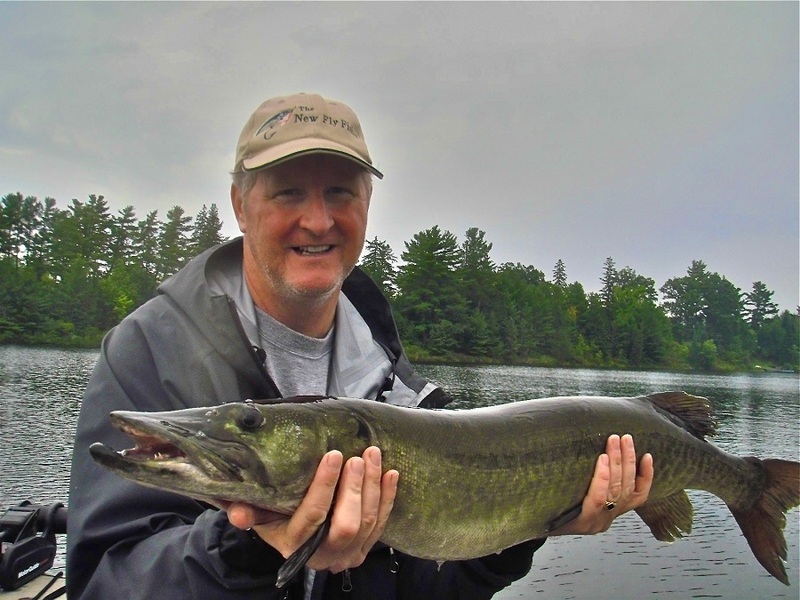 We strongly recommend you contact Terry or Merrill and discuss your next trip to Northern Ontario. With their excellent access, affordable accommodations and outstanding fishing, they are perfect for anglers looking for a quality fishing trip!